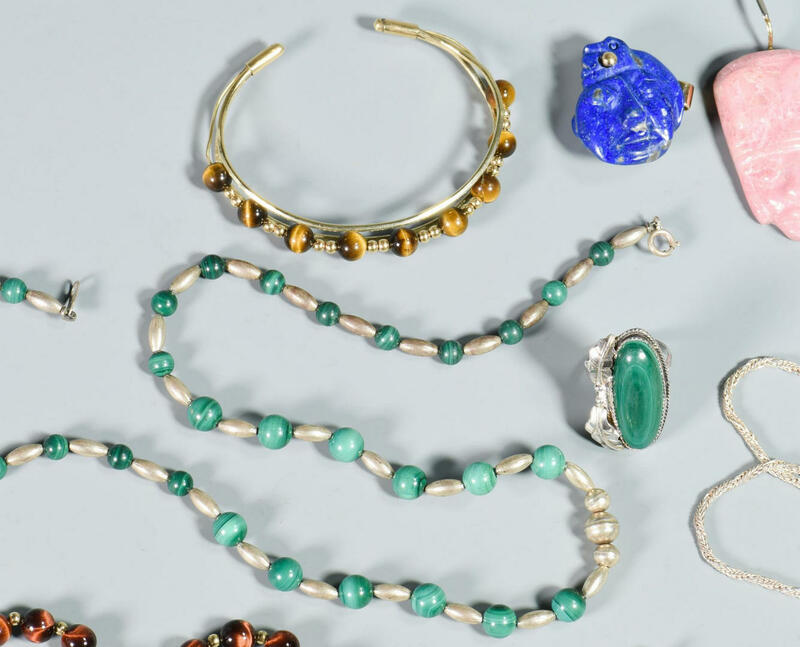 14 items jewelry with stones. 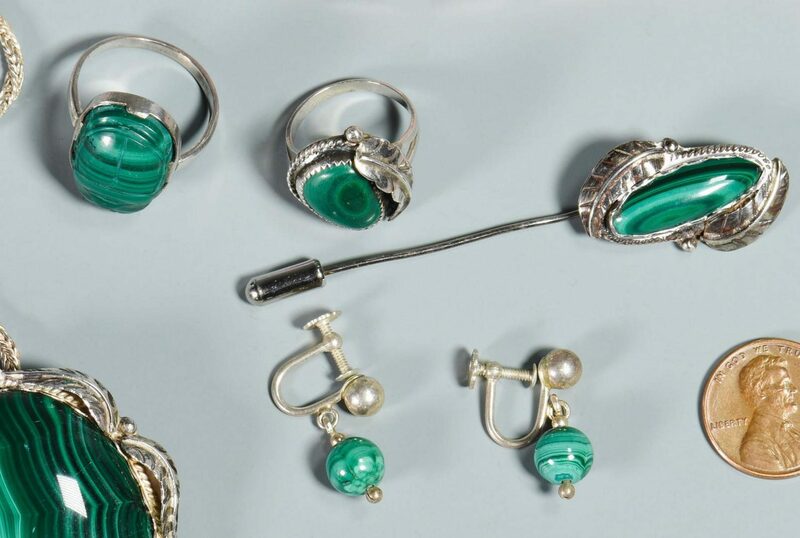 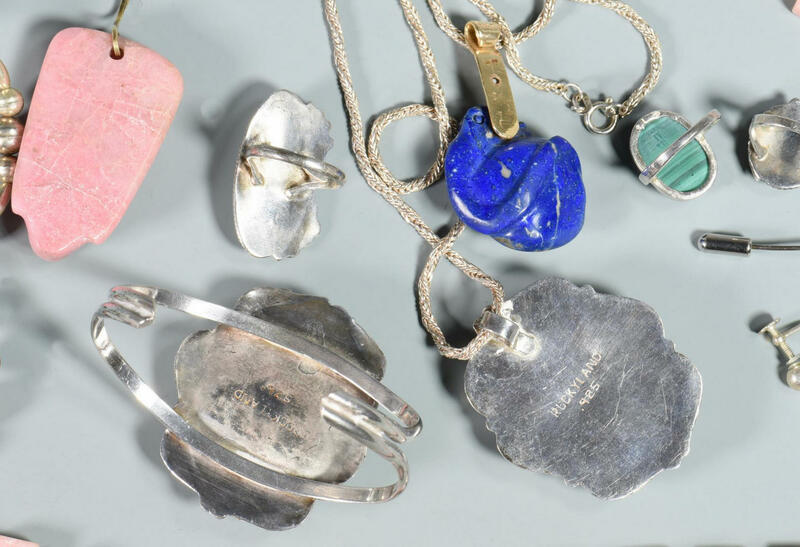 1st group: Group of malachite jewelry with sterling and silvertone mountings including large pendant and cuff, both marked "Rockland 925", chain marked Sterling, stick pin (not marked), pair 925 earrings, 3 rings (none marked) and 22" long necklace, marked Sterling. 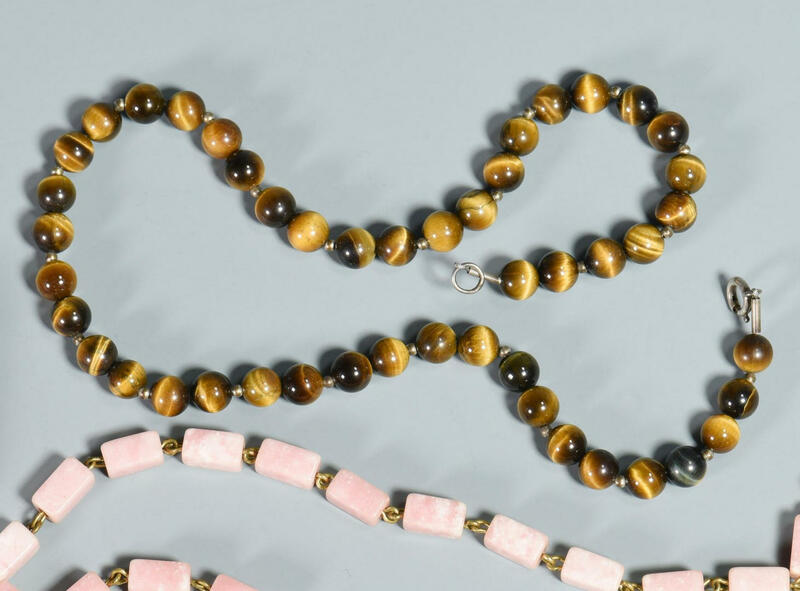 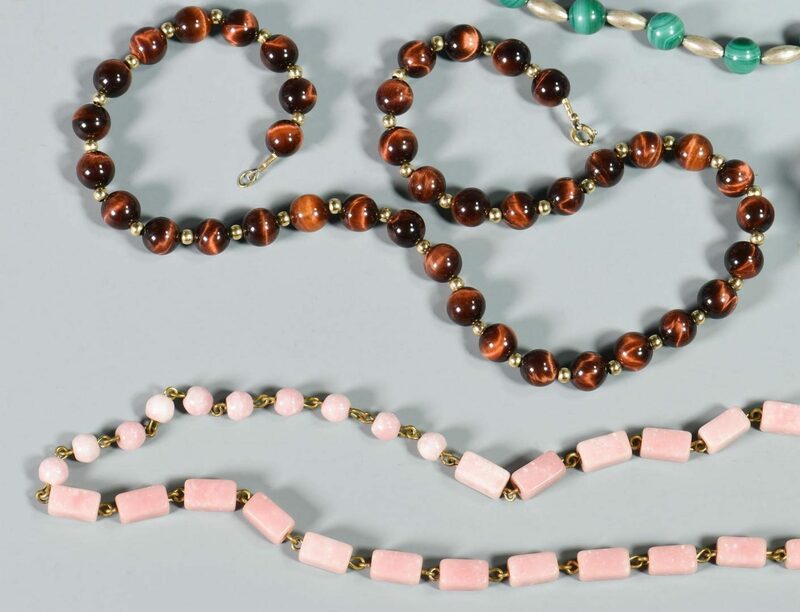 2nd group: Tiger's eye bead necklace, 15" L, and cuff bracelet with goldtone mounting plus one other striped stone bead necklace with goldtone beads, 17" L. 3rd group: Rhodonite carved mask pendant with 14K yellow gold bale, 3-1/8" L overall plus 60" strand rhodonite lozenge beads with goldtone links. 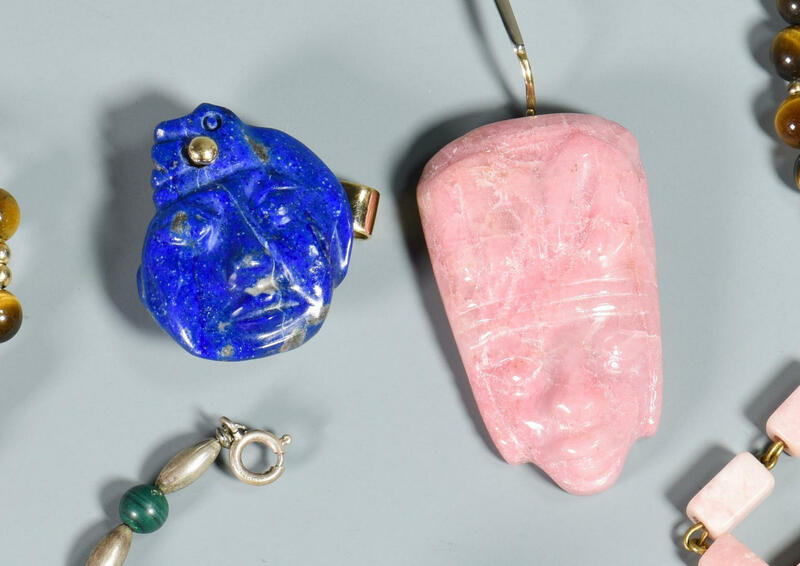 14th item: Carved malachite mask pendant with 14K yellow gold and diamond bale, 2" L. CONDITION: Overall good condition. Wear to gold coloring on goldtone beads.